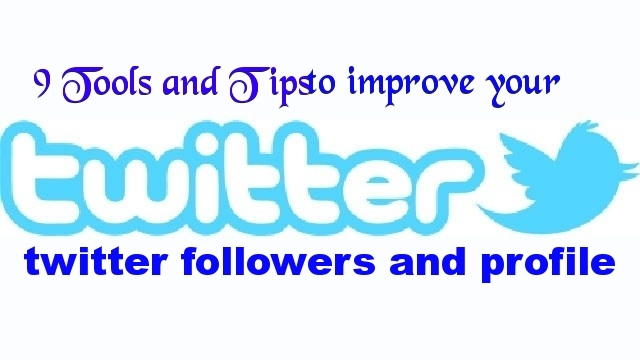 If you are looking for tools and tips to improve your twitter followers and profile, then you are on right page. Today, Twitter is one of the most popular and visited social networking micro-blogging platform. With the smart and creative use of 140 words, you can influence a great number of audiences and drive a quality traffic to your site. It is very difficult to master the Tweeting art and usually this process requires a consistent learning and understanding of each and every aspect of tweets and their viral. The most important aspect and the objective of a sound Twitter profile are to increase the number of quality Twitter followers in the favor of the company. As an online marketer, you should understand this thing without any mistake that Twitter is a social tool and if you are playing with it without any emotional touch or following the technical process and methods, it will not give any benefit to you. So, if you want to attract one and more twitter followers, first you need to build a strong Twitter profile and then improve it regularly. Also Read: How To See who is Looking at Your Facebook Profile? Here in this article, we are going to discuss some very handy and helpful tools and tips that will assist you to fresh up your Twitter profile page and give a great impact on it. In today’s branding based market scenario, your Twitter profile is the important tool to judge your site and brand. How will you deliver or send the traffic to your website, if you are a blogger? Of course, you will make efforts to increase links by inserting the comments here and there in the name of your blog’s link, or you will link your web page’s name to any higher ranked website or share the link with your friends and closed persons or finally by advertising. Same way, increase the traffic to your profile and treat it as a blog page and make efforts to send traffic to it. This will be very useful if you put the “tweet this” button just below your article or blog post. This will help your Twitter followers to retweet your post through their profile. This way your article will be reached to a great number of audiences through the interlinked web of net users. So if you have published a really nice article, you will be able to spread it interlinked links of the followers and increase more traffic to your site. As we know that the first impression is the last impression, if you fail to impress the reads through your recent or starting posts, they will neither visit you again nor they will retweet or share your posts further. Obviously, you need to start with the nice tweets and it will not disappoint you as the nice and well-crafted post always impress and attract the readers and they begin to follow you regularly. So this is an expert, tip that you if you are tweeting about any event held recently or any other topics, your recent tweet must be very attractive focusing your rather new followers. If you manage to present your Twitter profile in a professional manner, it will be able to attract a large number of visitors. It presents you as a professional and they can take a chance to read your post or follow you. Either you can create your own themed background or there are many online tools that provide a lot of pre-designed custom backgrounds to choose from. artweet, free tweeter designer) and themeleon) are some remarkable websites that will certainly help you to create some impressive backgrounds for your profile. This is the simplest way to improve the traffic to your Twitter profile. Here you have to follow the people, understand their tweeting and retweeting habits and unfollow those who are not responding to you. In this way, you can have the quality traffic to your profile page and can determine that who is your dedicated follower. It is also a good way to get rid of non- responding or non-refollowing followers. The best tweet tools to unfollow the non-followers are twitter karma and follower filter. The bloggers are suggested to follow the others of the same niche. While your profile will turn as the platform of the readers send the bloggers of the same niche, it will attract the visitors and also influence them to follow your profile. While you are in the search of people of like mind to follow, you can have these tool to assist your twitter profile; just tweet it (justtweetit.com ) and we follow. It is very important that you tweet your message within the limit of 140 words as it will facilitate anyone to retweet your tweet. This is because if someone will retweet your tweet, “RT:” will also be added to your tweet, and if exceeding the limit, your tweet will not be able to retweet. Here is also the online help is available to help you to tweet lengthy messages such as TweeTLonger and Tiny Paste Bin. Just for some change and as the part of your Twitter profile promotional strategy, you can conduct a twitter contest for your followers. Here, the visitors may be influenced and attracted through some attractive gifts / prizes. If they find your contest interesting, they will surely follow your profile and also retweet it. Today, the twitter contests have earned a fair reputation as a chance of winning some really nice prizes so people love to participate in them consistently. These contests also provide a good opportunity to get some quality followers. If you participate in any such contest, you may get connected with the group of people who want to follow your Twitter profile. 1-Ultimate Twitter guide to get more Twitter followers and Promote your website. 2- Top 10 twitter tools for managing your website and twitter account. 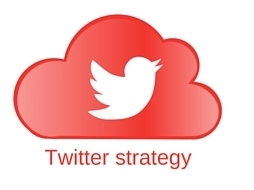 3- Methods for optimization of your Twitter presence. Other than the above twitter tools there are many other tools are there in the market to help the internet marketers to help in driving more traffic and increasing the reach to the potential clients and the sales and profit improvement. With the use of these twitter tool,s you create a network and the effective management of this network will definitely help you to achieve the desired results. One more thing to be taken care here; though your main focus is on getting the new twitter followers for your profile, you need to maintain the existing followers also. For this, it is very essential that you regularly update your profile with some interesting information, visuals and graphics. Your attractive as well as informative and educative twitter profile will be your big tool of success in the competitive online market. if you have any query or suggestions related to this 9 tools to improve your twitter followers then please let us know in a comment.